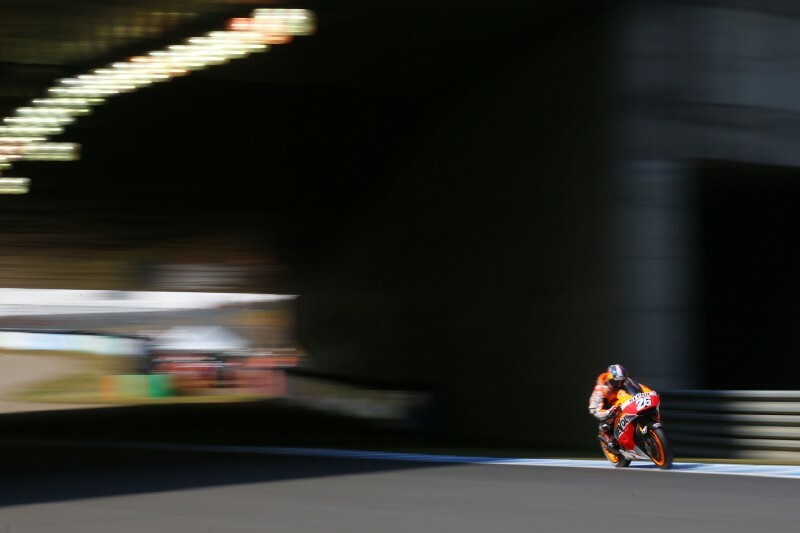 It was a toughly fought battle for pole position in Motegi, with several riders vying for the top spot and ten riders within six seconds of each other. 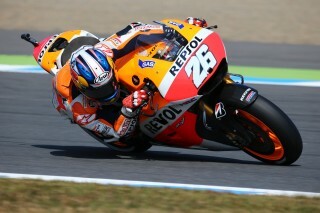 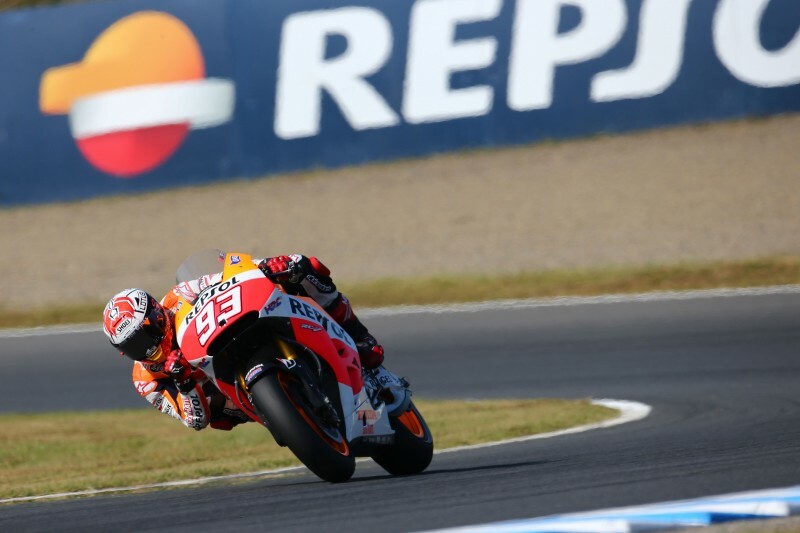 Repsol Honda’s Dani Pedrosa and Marc Marquez at times both led the session but on his final lap, in the penultimate corner, Dani lost the front end of his Honda RC213V and with it the chance to take pole position and his time of 1’44.755 placed him 3rd behind Dovizioso and Rossi. 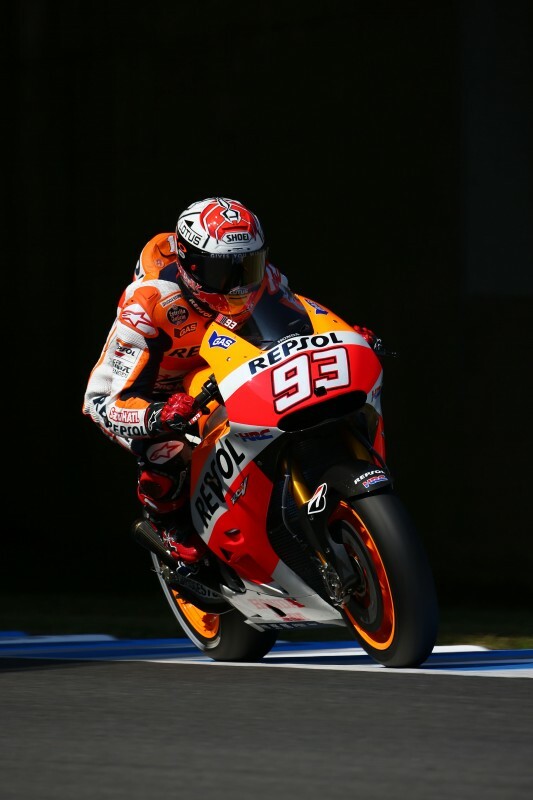 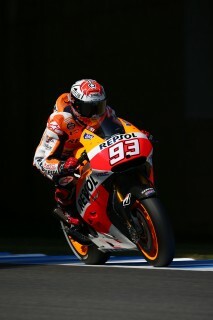 Teammate and Championship leader Marc Marquez was also battling for pole and missed out on a front row start by just 0.020s. 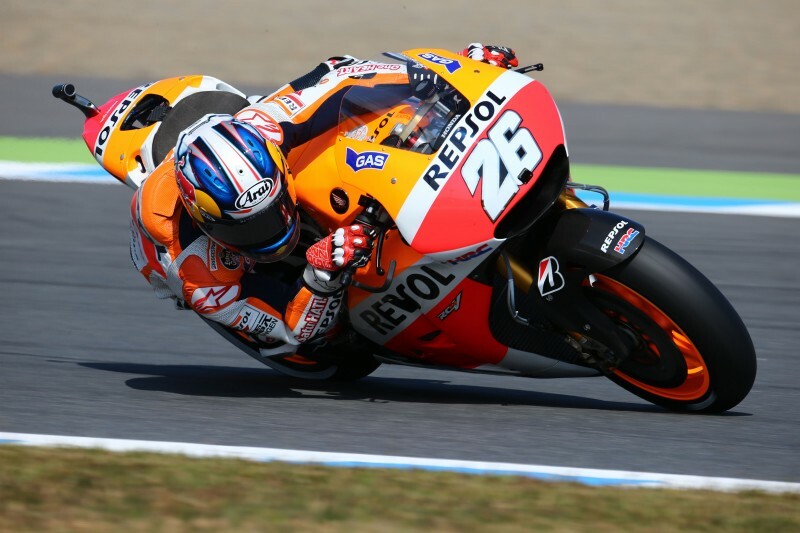 His time of 1’44.775 places him 4th for tomorrow’s 24 lap race, where he has his first opportunity to seal the 2014 World Championship.